The amount of times we get asked these questions and more. Do everyday sports people have Hypnotherapy as well as celebrities? Does it work? It’s a Yes to all those! The most successful sports people achieve great results because they have the right mind-set and physical fitness to perform well. The mind-set attitude comes with practice too! Sports researches tell us constantly that performance has more to do with mental abilities than physical abilities. Professional sports people have truly come to acknowledge just how the mental state can have a positive effect on their sports results! As a coach, I have seen some of the most amazing limitations people have put on their abilities and achievements in life. Barriers built by themselves and others – limited beliefs, phobias, fears and the behaviours taught when young. We are all unique and have our own issues – even professional sports celebrities. For instance imagine always being in the spot light and being watched constantly. Concerns that may go along with attention of looking foolish. This can bring about stress, anxiety, depression and other emotional states. This side of sport has being recently highlighted in the BBC 1 television programme, ‘hidden side of sport’ in which cricketer Freddie Flintoff explores depression in professional sports. I read somewhere recently that golfer Frances Bondad has claimed hypnotherapy has helped to lift her game after winning the Sanya Ladies Open 2011. 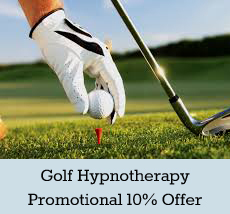 Tiger Woods historically is renowned to having his own hypnotherapist for golf. So many renowned sports professionals use hypnotherapy to gain positive mind and an attitude to succeed in their sport. Hypnotherapy seeks to engage an athlete’s mind in a positive way to help them focus on their goals and achieve them. Being able to control negative thoughts and emotions is the basis of sports psychology and can often be achieved simply through hypnosis. How does Hypnotherapy work in sports? Successful athletes are often able to control their state of mind so they have a psychological advantage which prevents them from underperforming or giving into their nerves. Helping an individual’s mental attitude to success is where hypnosis steps in. If we are not relaxed in our minds, our energy is low and our achievement is slim and even extinct. 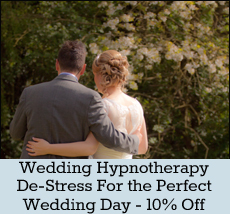 Hypnosis can help relaxation, remove those anxieties and boosts focus and confidence. Here comes the science – How does Hypnotherapy work? The brain cannot distinguish between doing something or imagining doing something so visualising winning a competition can help tune your mind for success. If the human mind is capable of imagining something, it’s capable of making it happen. This does not just apply to sports. Health issues, work, relationships so many things.